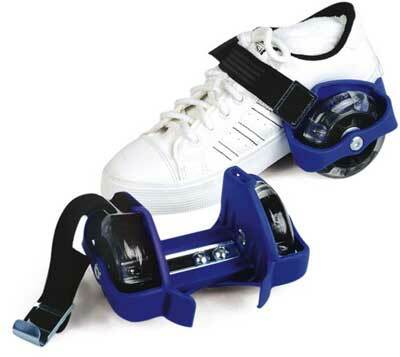 Our Strap-On heel skates turn any pair of shoes into a pair of flashing roller skates. The multi-color LEDs will create a blaze of bright color as you zoom around. 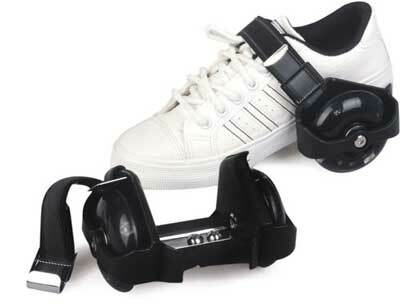 One size fits all and straps on to any pair of shoes. Recommended for ages 5 and up with maximum weight limit of 90kg. Our You Tube Video Link !